The scene examination is the critical component of fire investigation. Our investigators dig deep to find the origin and cause of fires and explosions, relying on decades of experience and following the Scientific Method, objectively. 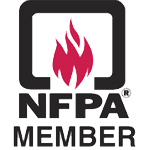 Our investigators also follow the standards set forth by the National Fire Protection Association, these are known as NFPA 921 and NFPA 1033. We conduct fire O & C investigations involving structures of all kinds, strip malls, vehicles, agricultural equipment, cars, trucks, motorcycles, recreational vehicles and more. KGFI investigators consult with other experts, such as electrical and mechanical engineers, when warranted. In addition to fire scene examination, our investigators are adept at interviewing witnesses and others who might have knowledge pertaining to the fire or explosion. This includes law enforcement officers and fire department personnel. KGFI investigators have a good working relationship with both. Should the case be one that proceeds to court, our investigators are experienced at giving court testimony. Their only allegiance is to the truth and they have a very enviable record of success at trial, both in matters of subrogation and criminal defense. Our investigators have testified in District, Federal and Municipal court as well as in deposition. KGFI investigators are available to review and assess fire/explosion investigations done by other companies. We generally conduct investigations in Kansas, Oklahoma, Colorado and Missouri. We are working on extending that coverage area at present. Under the auspices of an attorney, KGFI can investigate anywhere in the U.S.